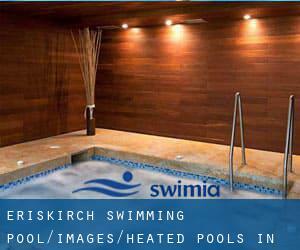 Looking for Heated Pools in Eriskirch? Many of them belong to gyms or sport centers which also give lessons. Please check the nearest Swimming Pools or Contact us to ADD IT. It is free! The best pools to swim are undoubtedly indoor olympic pools. If you are visiting Eriskirch make sure you know the rules and regulation for swimming as they may not be the identical as inside your house town. Swimia.com needs your feedback to ensure all the information is valid, since maybe this pool is no longer open to the public. 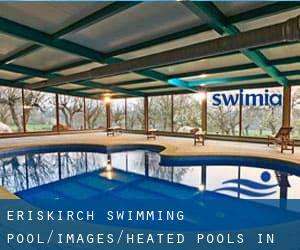 These are the Heated Pools in Eriskirch other users have reported. Are you a local and your pool is not listed? Contact us to ADD IT. It's totally free! Updated on 2019 Klemmenstraße 16 , Stadtmitte , Pfullingen , GERMANY (Postal Code: 72793). This sports center offers 25 meters x 12.5 meters, Indoors. For this Swimming Pool, only phone number is number here. Updated on 2019 Rathausplatz 30 , Unterhausen , Lichtenstein , GERMANY. Among all the activities offered by the center, if you are interested in swimming you can expect to appreciate 25 meters x 10 meters, Indoors. Just in case you would like to contact this Pool before dropping by, we only know the phone number. Updated on 2019 Tomerdinger Straße 17 , Dornstadt , GERMANY (Postal Code: 89160). Swimmers like you reported 25 meters, 4 lanes, Indoors. Unfortunately we do not have the email address of this Pool, but we can give you the phone number. Updated on 2019 Konrad-Adenauer-Platz 4 , Metzingen , GERMANY (Postal Code: 72555). Among all the activities offered by the center, for anyone who is thinking about swimming you will appreciate 25 meters x 12.5 meters, Indoors. Just in case you want to contact this Swimming Pool before dropping by, we only know the phone number. Updated on 2019 Schul- und Sportzentrum ""Hohenberg"" , Jahnstraße 33 , Kernstadt , Rottenburg am Neckar , GERMANY (Postal Code: 72108). Among all the activities offered by the center, if you are considering swimming you will enjoy 25 meters, Indoors. Just in case you wish to contact this Swimming Pool before dropping by, we only know the phone number. Updated on 2019 Schulweg 3 , Wittenhofen , Deggenhausertal , GERMANY (Postal Code: 88693). This sports center provides 25 meters, 3 lanes, Indoors. Contact data for this Swimming Pool similar to phone number and email address are number. Updated on 2019 Bahnhofstraße 27 , Ueberlingen , GERMANY (Postal Code: 88662). This sports center offers 25 meters, 4 lanes, Indoors. Contact information for this Swimming Pool such as phone number and e-mail address are number. Updated on 2019 Marktplatz 5 , Baienfurt , GERMANY (Postal Code: 88255). Among all the activities offered by the center, if you are interested in swimming you will take pleasure in 25 meters, 4 lanes, Indoors. Just in case you want to contact this Pool before dropping by, we only know the phone number. Updated on 2019 Ehlersstr. 10 , Friedrichshafen , GERMANY (Postal Code: 88046). Among all the activities supplied by the center, if you're interested in swimming you can enjoy 25 meters, 6 lanes, Indoors. Just in case you need to contact this Swimming Pool before dropping by, we only know the phone number. Updated on 2019 Schützenstraße 32 , Bad Saulgau , GERMANY (Postal Code: 88348). Among all the activities offered by the center, should you be interested in swimming you will delight in 25 meters, Indoors. Just in case you would like to contact this Swimming Pool just before dropping by, we only know the phone number. Updated on 2019 Grüngrabenstr. , Ebingen , Albstadt , GERMANY (Postal Code: 72458). Swimmers like you reported 25 meters x 12.5 meters, 5 lanes, Indoors. Unfortunately we do not have the email address of this Swimming Pool, but we can give you the phone number.